Join us at Buffalo Wild Wings Fundraiser! 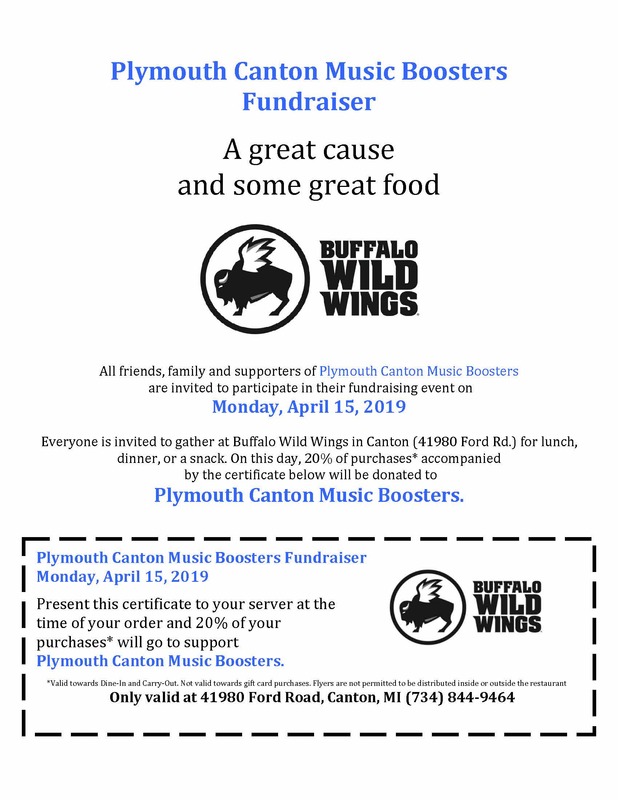 Buffalo Wild Wings on Ford Road in Canton is supporting the Plymouth-Canton Music Boosters on Monday, April 15, 2019. Please bring a copy of their flyer (found here), and they will donate 20% of purchases - all day! MCBA - Mich. Competing Bands Assoc.